Accordingly, 230 houses will be completed in 2019, with the rest in the following year, according Vice Chairman of the provincial People’s Committee Nguyen Van Phuong. In order to realise the project’s targets, communication work will be further enhanced in order to call for more social resources and community support during the implementation. The province will encourage and prioritise financial assistance for the construction to begin soon, particularly for those in areas at high risk of storms and floods. Provincial authorities will also work with local governments to help disadvantaged households complete construction before the rainy season commences. The project, funded by the Green Climate Fund (GCF) through the United Nations Development Programme, aims to help build safe and stable houses for local coastal residents who are vulnerable to the impacts of climate change. Under the project, beneficiaries will receive an assistance of nearly 70 million VND (3,000 USD) each to build their flood-proof houses, of which 1,700 USD is sourced from the GCF. In 2018, 135 storm- and flood-proof houses were built, fulfilling the year’s targets. Thua Thien-Hue is among five coastal localities of Vietnam benefitting from the GCF project, together with Thanh Hoa, Quang Binh, Quang Nam, and Quang Ngai provinces. It aims to support the construction of 4,000 houses in these localities between 2017-2022 with non-refundable assistance totalling about 29.5 million USD. 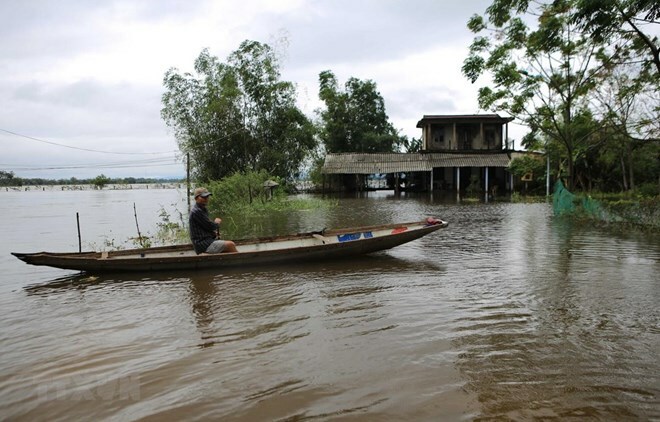 The project is also to raise local resilience to the unfortunate consequences of climate change via building safer homes, increasing the coverage of mangrove forests, and providing trustworthy information about climate risks.